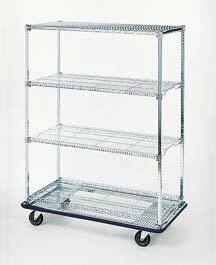 Shelves up to 48” (1220mm) in length have a 1000-pound (454kg) capacity. 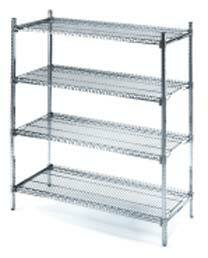 Shelves up to 60” (1524mm) in length have an 800-pound (363kg) capacity. 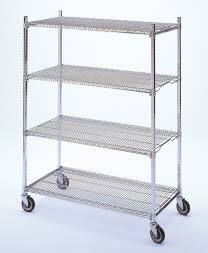 Shelves up to 72” (1829mm) in length have a 600-pound (272kg) capacity. In. Mm Lb. Kg Cat. No. Cat. No. Cat. No. adjustable leveling bolt and post cap. In. Mm Lb. Kg Cat. No. Cat. No. Cat. No. Cat. No. Cat. No. 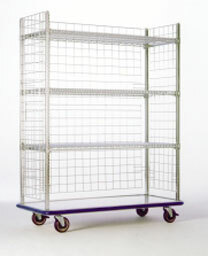 Snaps onto wire shelf to provide flat surface. Easily removable to convert back to wire shelf. 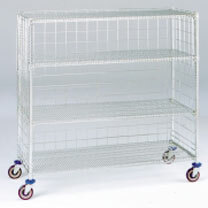 Dolly Plate casters - 5” (127mm) or 6’’ (152 mm). 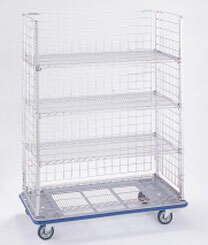 Overall height: Post + Dolly 1-1⁄2” (38mm) + Casters.